Our Core Values, Core Purpose and Mission Statement are at the heart of what we do. They are the reason we are in business. And all FastSMT personnel understand and make a commitment to personally support these statements. Such a commitment dramatically expands the results realized by our employees, and our purpose and values strengthen our organizational culture. FastSMT’s culture is built on the foundation of – We Have Never Arrived and we are a High Involvement Organization. At FastSMT we know there will always be innovations to pursue and foster, and learning to be done. We Have Never Arrived allows the space to ongoingly set our sights higher and continually create our company. High Involvement means we have 360 degrees of accountability, where team members are encouraged to debate and hold their peers, subordinates and superiors accountable, so that each employee is a part of creating and benefiting from the company’s success. 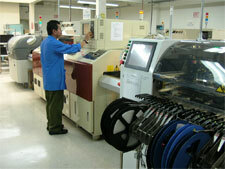 FastSMT’s Purpose: Accelerating our customers’ success with a commitment to manufacturing excellence every day. FastSMT’s Vision: To be the best quick response, high-reliability Electronic Manufacturing Services company in the U.S. Best being, high customer satisfaction, high employee satisfaction, superior financial results and award winning. We provide electronic manufacturing services with uncompromising quality that perform in demanding environments, for the most critical applications. We are also a stand for manufacturing on US soil. 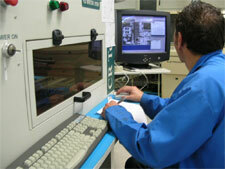 Integrity — defines the way we interact with our customers, employees and suppliers. Doing complete work as it is meant to be done or better. Honoring one’s word – doing what you know there is to be done and what others expect, whether you said you would do it or not. Transparency — being honest at all times, Nothing hidden. We don’t hide things from our customers, suppliers or employees. We have never arrived — our strategy, business practices and operations can always be improved. Customer satisfaction — we are committed to meeting or exceeding customer expectations. High involvement organization – we provide growth for our employees through the growth of our company.